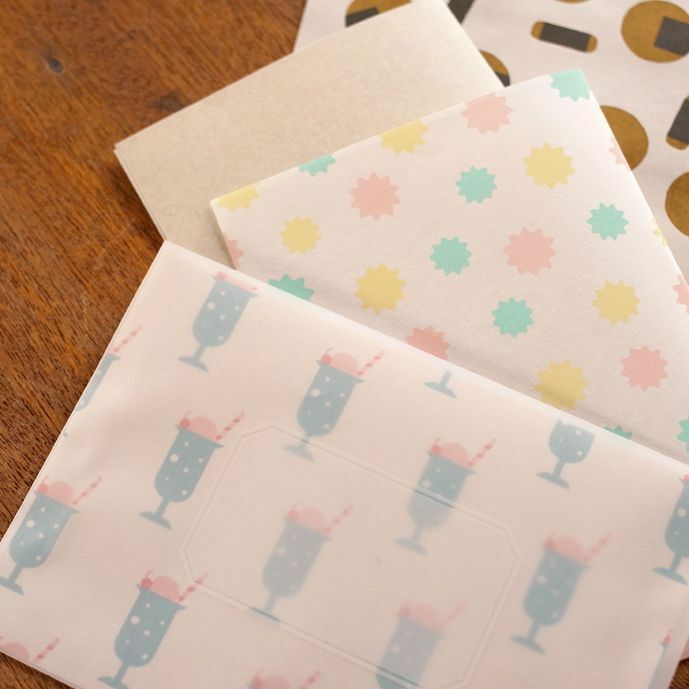 The cute motifs : Japanese rice cracker, sugar candy, and soda with ice cream are printed on coarse paper and white machine glazed paper. 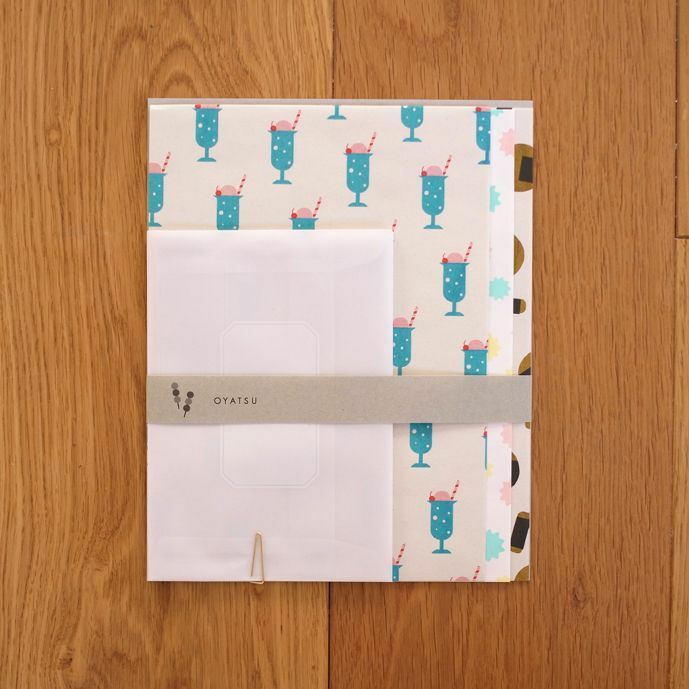 Write a letter on plain letter paper, wrap it with pattern paper and send it! 3 translucent envelope with label printed.